I've got these lovely vintage blue ceramic quails for sale. 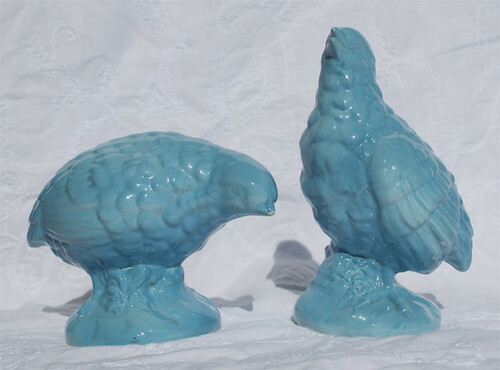 These vintage ceramic quails come in a very rare and unusual blue color. You normally see decorative quails in either brass or white ceramic but not blue! They would look lovely on a fireplace mantle, coffee table, or a bookshelf.